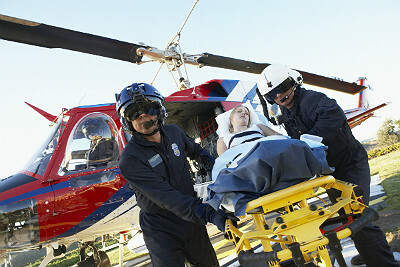 The FAA's exhaustive new final operations rule for helicopter air ambulance, commercial helicopter and Part 91 helicopter operations was released Feb. 18. The rule imposes new equipment, procedure and requirement changes to existing Federal Aviation Regulations (the FARs, for you pilots out there) and is estimated to cost the industry $311 million over the next 10 years. Government agencies rarely get these estimates right, and the final tab is likely to be more and this will increase the price of air medical transport. That said, the rule does a pretty good job of balancing suggestions from the NTSB with industry stakeholders, including AAMS, and should contribute to an improvement in rotorcraft safety. A lot of this has been in the oven for a couple of decades, and nobody should really be surprised by any of it. All HEMS flights must be conducted under the stricter air charter rules, aka Part 135, whenever medical crew members — not just patients — are aboard. This, combined with stricter VFR visibility standards, should eliminate the practice of "skud running" — flying too close to/in the cloud deck — in so-so weather to either get back to base or pick up a patient. All EMS helicopters will need to be equipped with helicopter terrain awareness and warning systems (HTAWS), radio altimeters and flight data monitoring systems. The first two are designed to keep you out of trouble — flying into water, terrain or obstacles — and the latter is to make sure you get the blame when the first two don't work. As expected, an alternate means of compliance, such as the use of night vision goggles, counts for almost naught; you do get a small break on minimum mandated visibilities when using NVGs. Pilots are going to need to step it up. An instrument rating will be required to fly Part 135, and pilots will need to regularly train to handle flat-light, white-out, brown-out and inadvertent entry into instrument conditions. These are things you should not do in a real helicopter, so expect the simulator providers to add capacity to handle the influx of trainees. A pre-flight risk analysis must now be part of the operations manual, and pilots must document the highest obstacle along the planned route before takeoff. Pilots aren't the only ones who will have more to do. The medical crew must now have safety briefings and training, and the operations control specialists on the ground will now be subject to drug and alcohol testing, just like dispatchers. A lot of this has already been voluntarily put in play by the industry, so much of it is ex post facto codification to quiet the chattering class in Congress. Still, the industry deserves a lot of credit for coming together with the FAA and taking the time required to develop something that is reasonable, workable and worthwhile.